Sometimes the oldies are the best. Maybe your tastes aren't dictated by what's new, or you just like things with a little heritage and 'soul'. 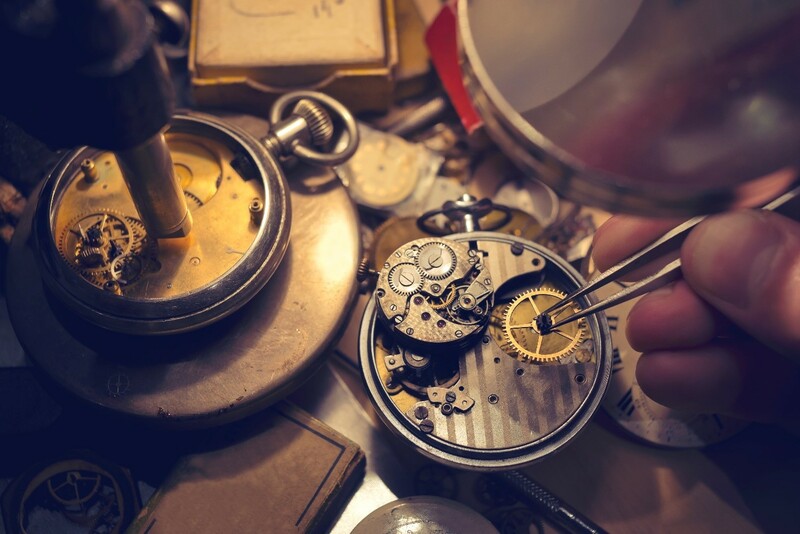 If you're looking for a timepiece with a little history behind it, choose a watch from one of these brands - all of which are old hands at watchmaking with a few good stories behind them. Casio wasn't always in the watch business, in fact, the Japanese company was building electronics before designing timepieces. Back in the '40s and '50s, Casio was known best for creating calculators - it even designed the classic button layout we still use today. 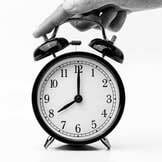 It was only in the 1970s when it decided to branch into wristwatches. Staying true to its guns in terms of design, the Casio Classic Leisure watch adds a little '80s flair to your look - having changed little from its debut in over 30 years ago. 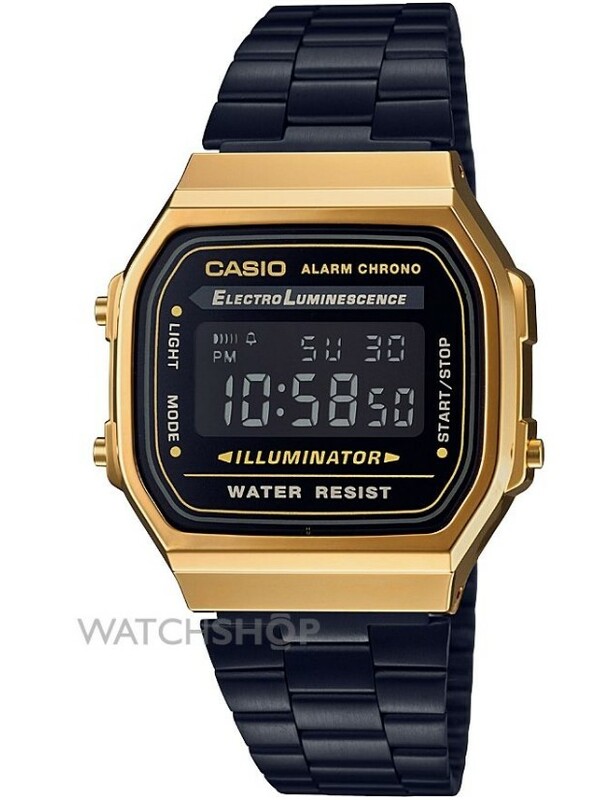 With a gold-plated face set against a black strap, a true-to-heritage Casio watch wouldn't be complete without its signature digital time display, which has changed little in over three decades. As it's light, has an easy-to-read display, and doesn't cost the earth, it's a good option to wear for sport, while its range of sharp colour schemes ensures it looks on-point when worn for a night out. With Armani being one of the key names in Italian fashion culture, Emporio Armani watches are as much of a fashion statement as they are useful. As a company, creating industry-leading designs in jewellery, clothes, shoes, and more, Giorgio Armani has existed since the mid-1970s, hailing from the fashion capital of the world - Milan. 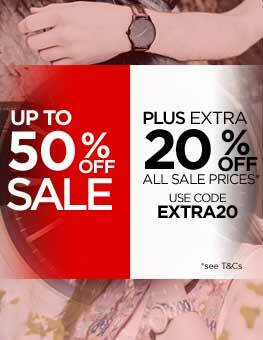 The Armani Exchange sub-brand launched in 1991 with the aim of producing street styles for those who love cutting-edge design. Armani Exchange watch designs are typified by clean lines, and fuss-free faces, often featuring a scattering of jewels for a touch of glam. 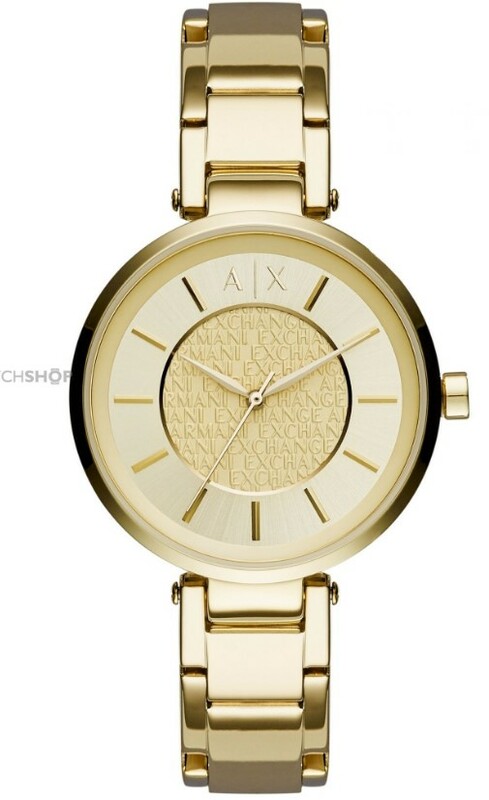 This ladies' gold bracelet watch is beautiful, fresh, and modern. With its symmetrical, bold look striking a pose on your wrist, its sheer class allows it to stand out. Its maker, Armani Exchange, is obvious, thanks to the 'AX' logo featuring prominently at the 12 marker, as well as the name being subtly patterned behind the hands. 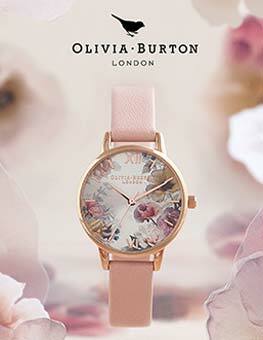 There's no mistaking this classy piece when it's on your wrist. 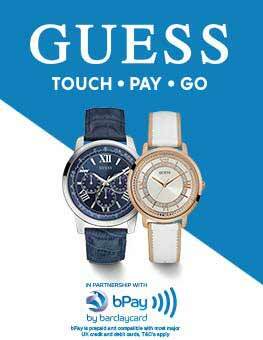 Cluse: Think watches; think France? 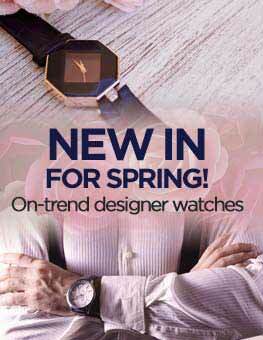 France is fast becoming recognised for its horological history thanks, in part, to the brand Cluse. The Alpine commune of Cluses, in south-eastern France, had a clockmaking boom hundreds of years ago that ultimately made it famous for all things watch. Although not originating in the town, this is where Cluse takes its name. 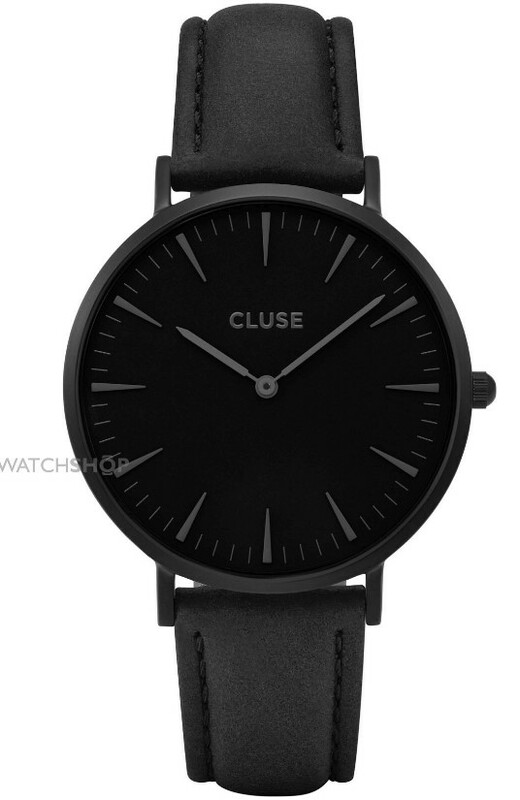 Cluse watches are elegant, minimal and sophisticated, with all these traits being underpinned by quality materials. Looking striking and stealthy, this all-black La Boheme watch from Cluse may, ironically, stand out against pretty much every outfit you pair it with, merely by the virtue of its extreme attention to subtlety. Staying true to Cluse's commitment to using quality materials, the La Boheme has an ion-plated steel casing and fastens with a sturdy leather strap. After establishing her now-famous fashion house back in 1985, Donna Karan launched the DKNY brand just four years later. Taking a small step away from the high-priced smart fashion lines, Karan's daughter inspired her to create more affordable items, which were no less stylish than her original brand. Watch designs within the DKNY brand are varied, so it's almost a certainty you'll uncover a piece that matches your personal style. 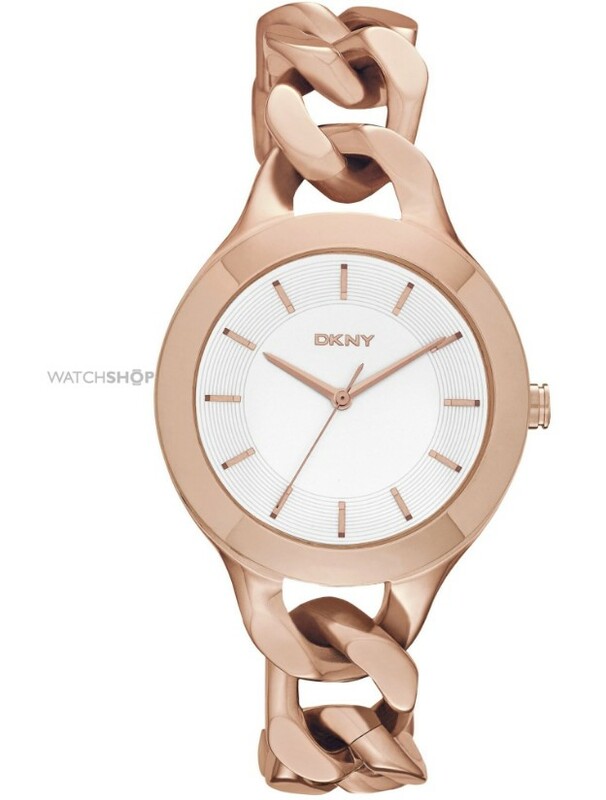 As frontrunners in watch fashion, DKNY is well placed to invite new styles into the market. 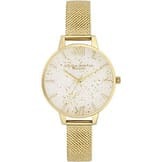 This ladies' Chambers watch has a bracelet-like strap, and is just as much a piece of jewellery as it is a time-teller. With a simple watch face that doesn't distract from the intricate strap, the Chambers watch is simple and minimalist in colour, but its classy effect stems from its modern and forward-thinking design. Founded all the way back in the 1970s, Diesel was the brainchild of Renzo Rosso - a one-time textile hopeful who originally stitched and sold jeans to his friends for a small profit. 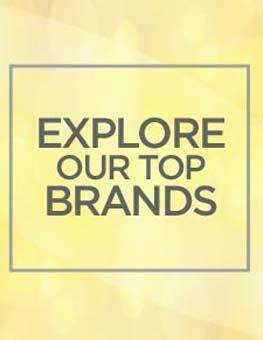 With stores dotted all over the globe, Diesel watches are a key piece of the brand, best known and loved for its bulky, oversized designs which challenge the norms of contemporary watch style. 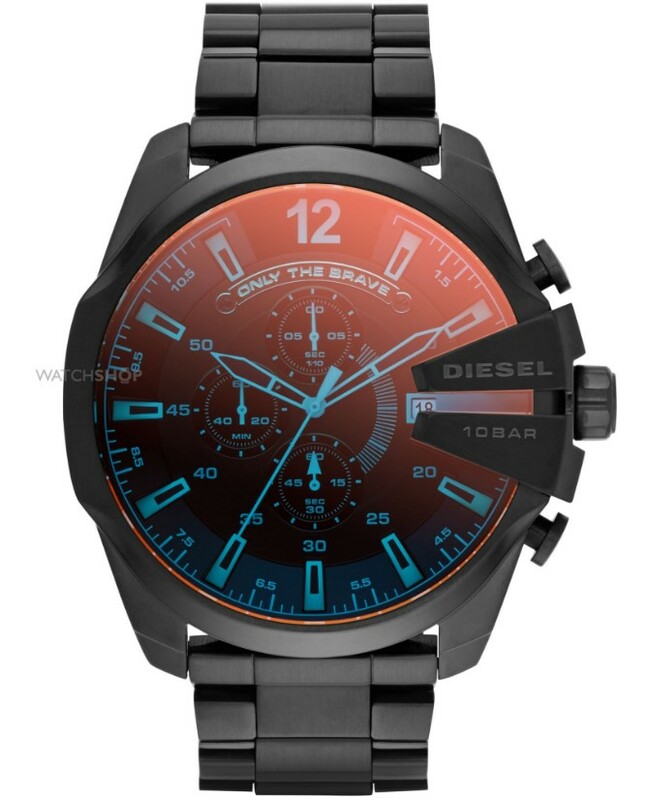 In-keeping with the name, this Diesel Mega Chief watch has an oily, orange glow about it when it catches the light, blending perfectly with the grungy grey that makes up the rest of the piece. With a stainless steel bracelet and a handy water resistency of 100 metres, the Mega Chief is as tough as it looks, and thanks to its size, will certainly make an impact in any situation. Behind every watch face lies a story, and behind every brand is a humble beginning waiting to be unearthed. These are our five top picks if you're looking for a timepiece with a real slice of history about it; go forth and feel the years of design inspiration right on your wrist from now on.